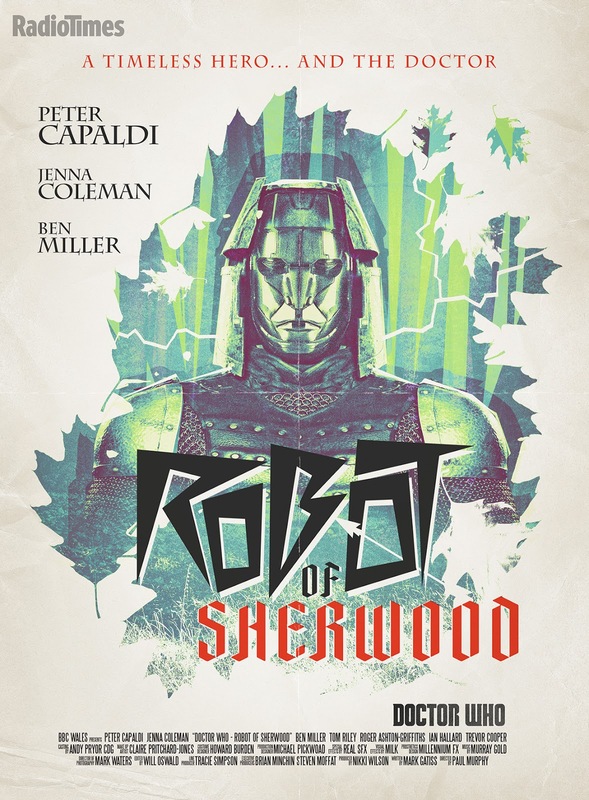 Over its fifty plus year history Doctor Who has explored time, space and also a great number of literary heroes, like in the eighth season episode inspired by the legend of Robin Hood, 'Robot of Sherwood'. 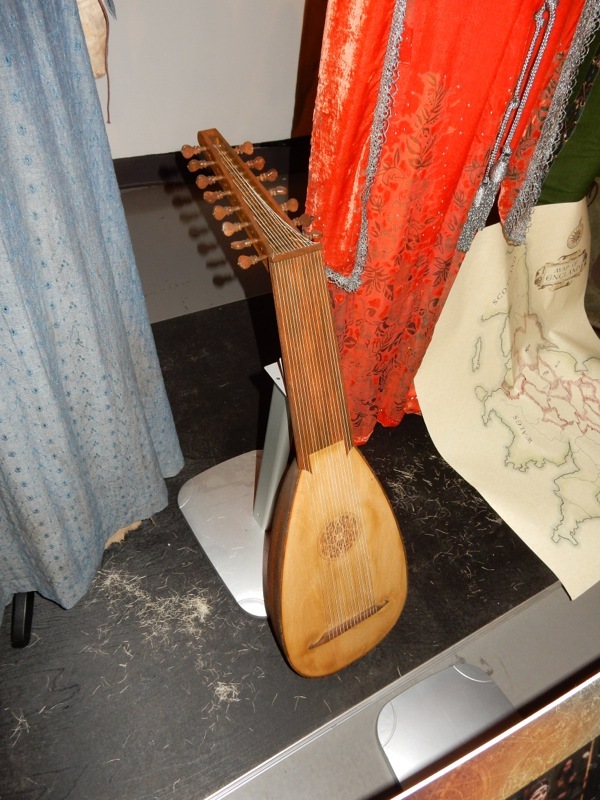 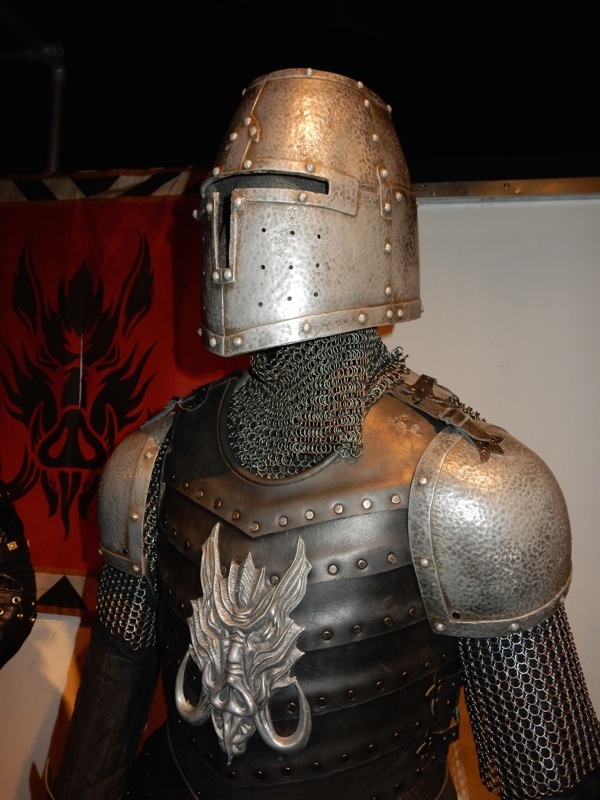 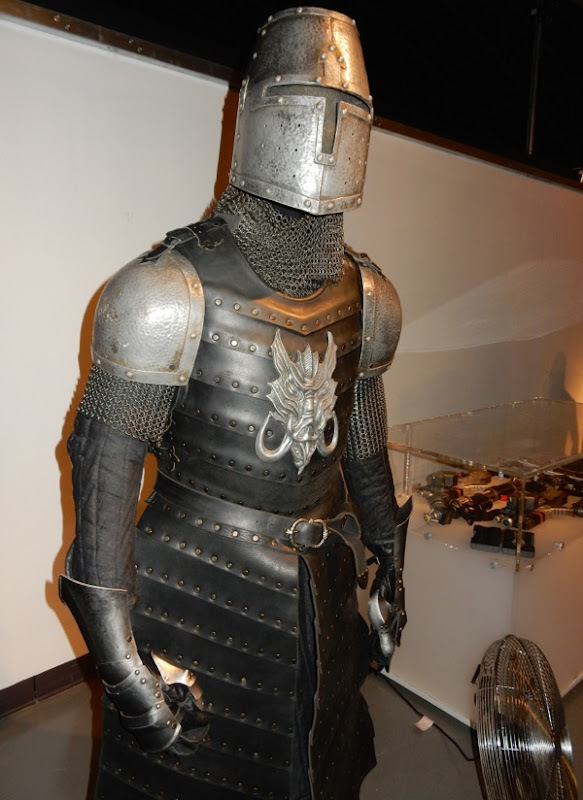 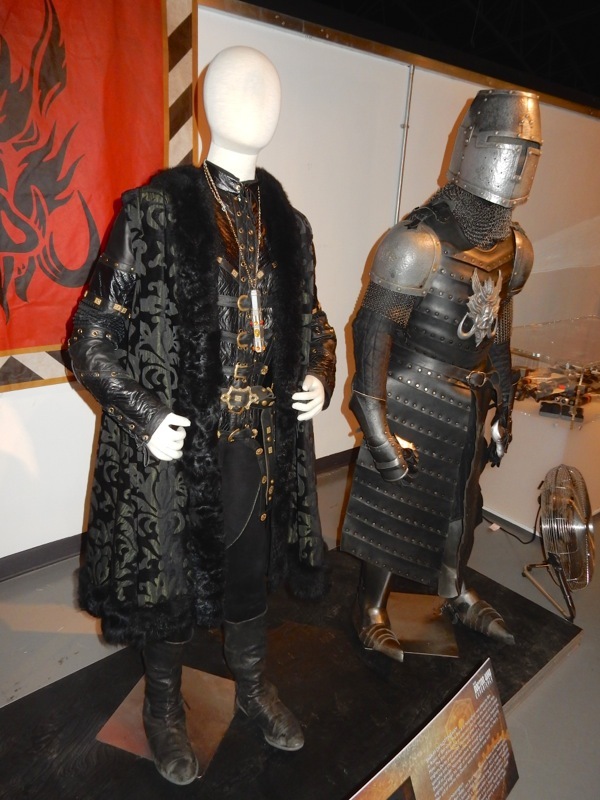 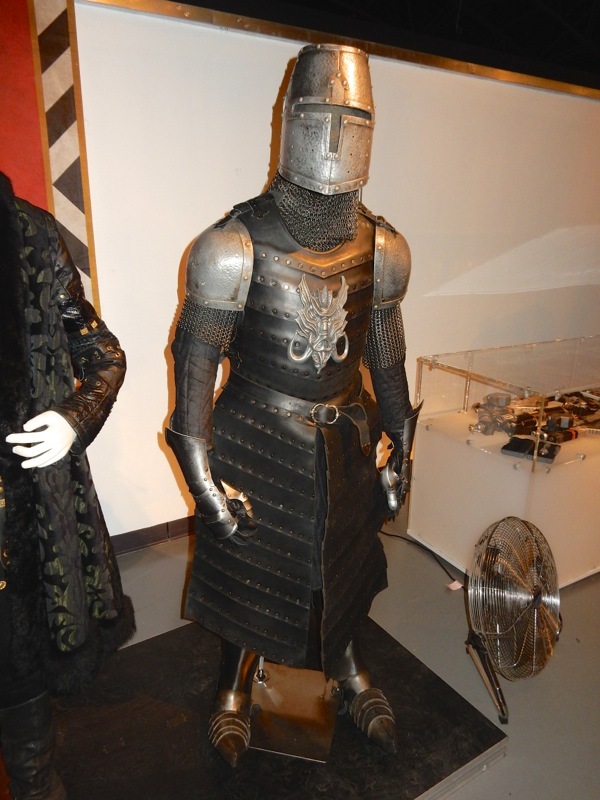 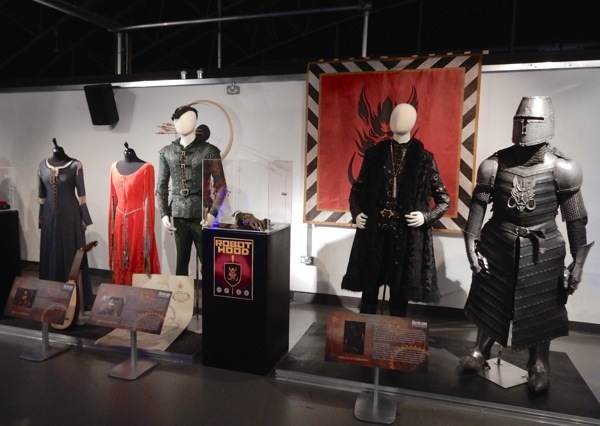 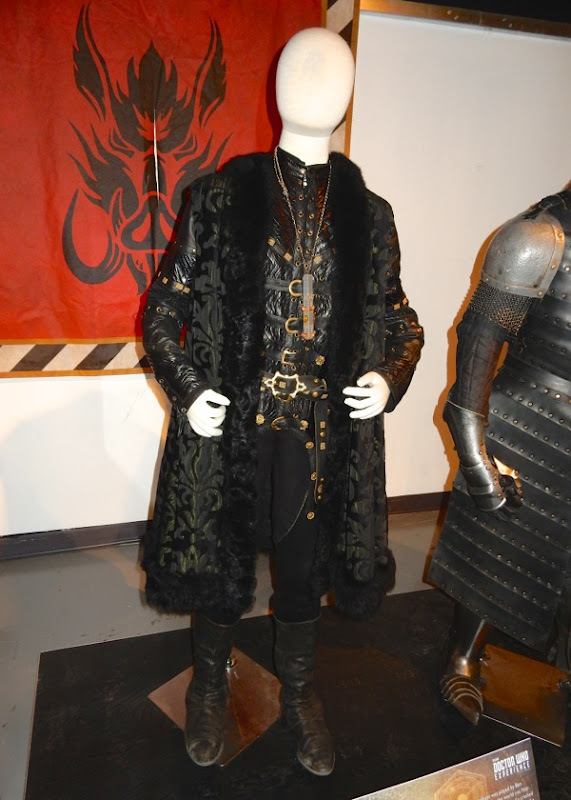 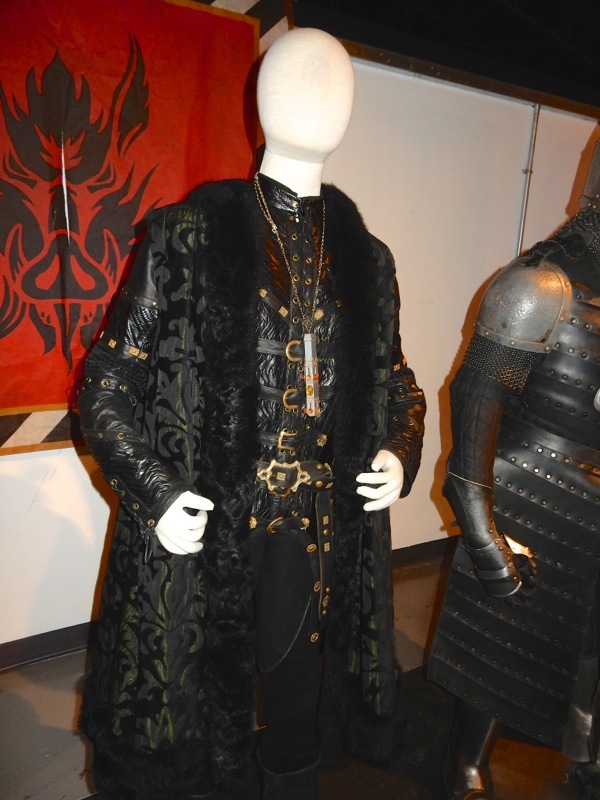 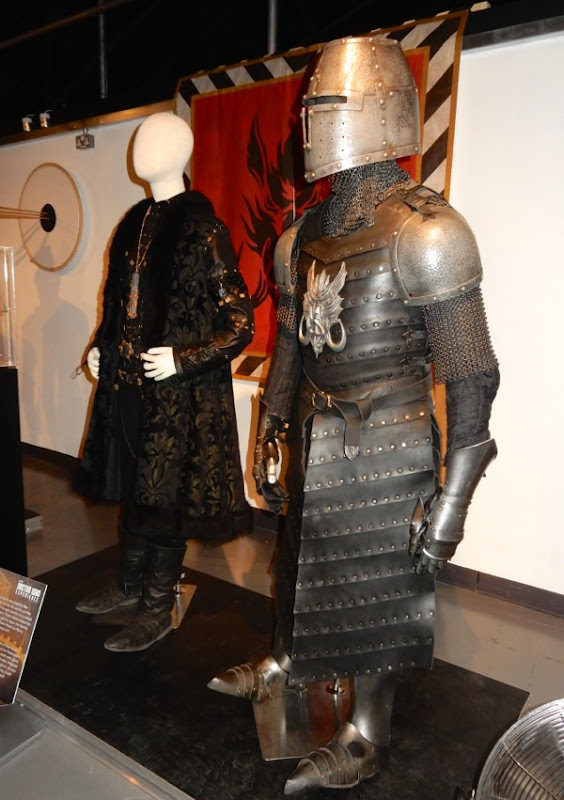 Here's a collection of cool costumes and props featured in the Medieval-themed episode photographed on display at the Doctor Who Experience in Cardiff Bay, Wales on April 20, 2015. Traveling through Sherwood Forest in 1190 England, the 'Twelfth Doctor' (Peter Capaldi) and his Companion 'Clara Oswald' (Jenna Coleman) meet the infamous 'Robin Hood' (played by Tom Riley) and his Merry Men. 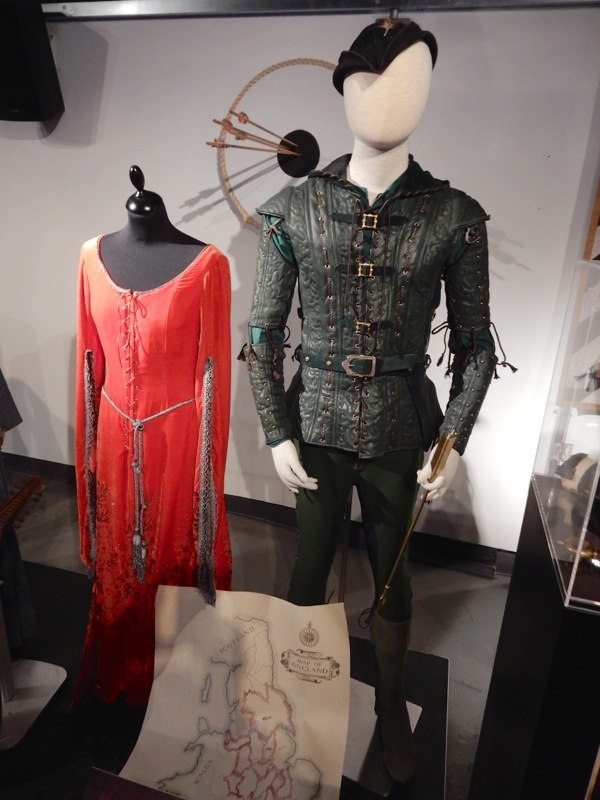 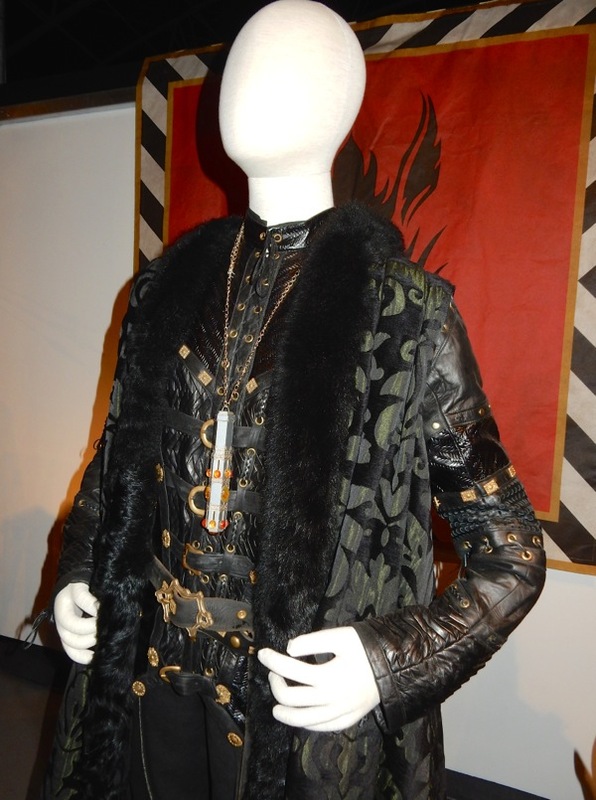 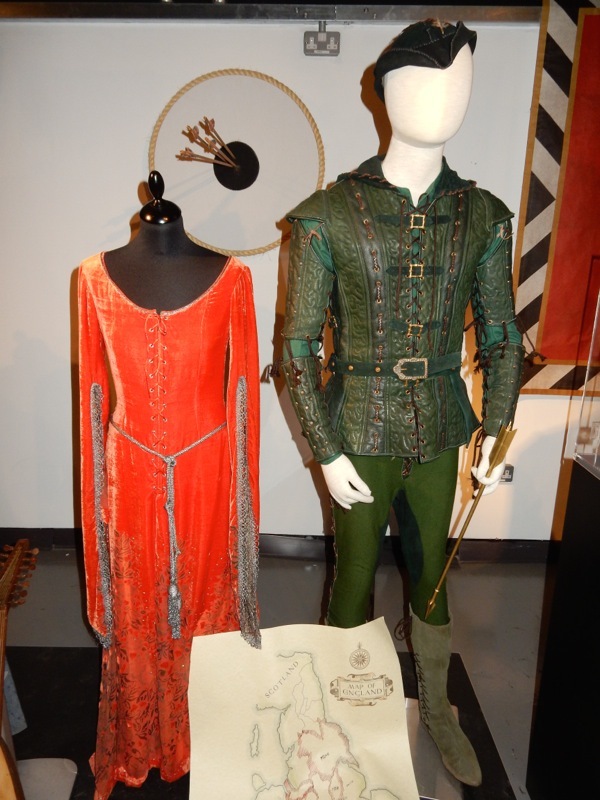 This exhibit included Clara's Medieval red gown from the episode, plus this mannequin with Robin Hood's costume is also holding the golden arrow prize from the archery contest. 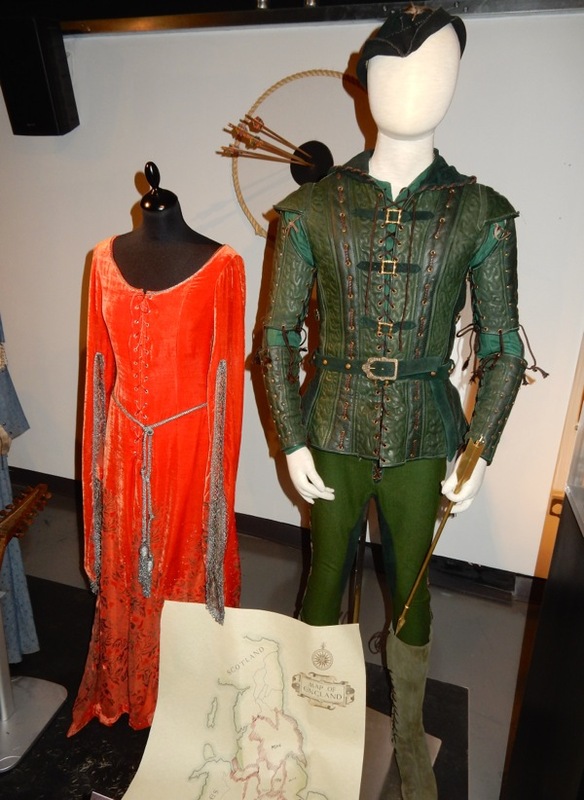 And you can't have a Robin Hood story without his arch-nemesis, the 'Sheriff of Nottingham' (played in this instance by Ben Miller). 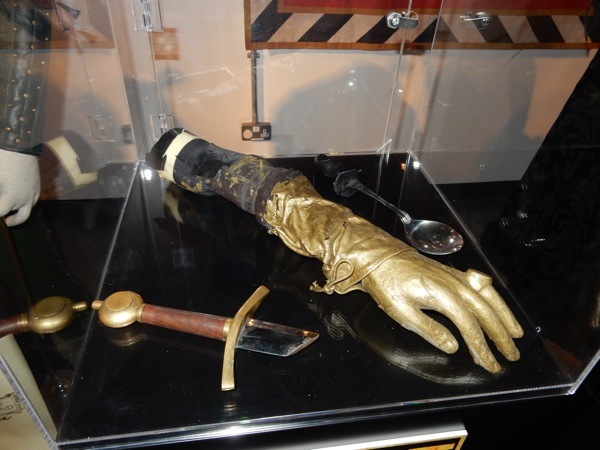 On this occasion the villain has found a crashed spacecraft and has taken control of the robotic men that piloted it, with a plan to conquer the world. 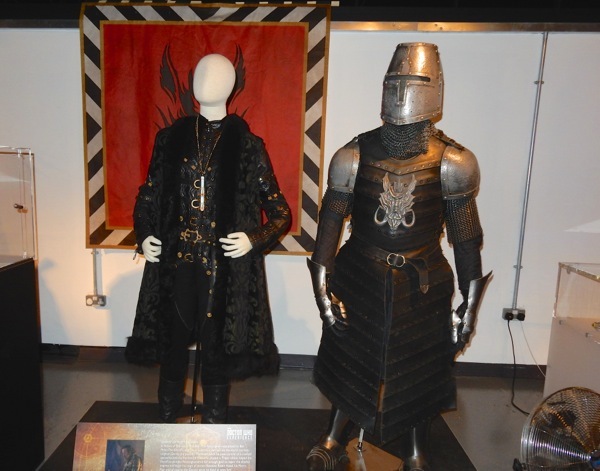 These Sheriff of Nottingham and Robot Knight costumes, by Series Costume Designer Howard Burden, are two of my favourites from this visit to the Doctor Who Experience exhibition. 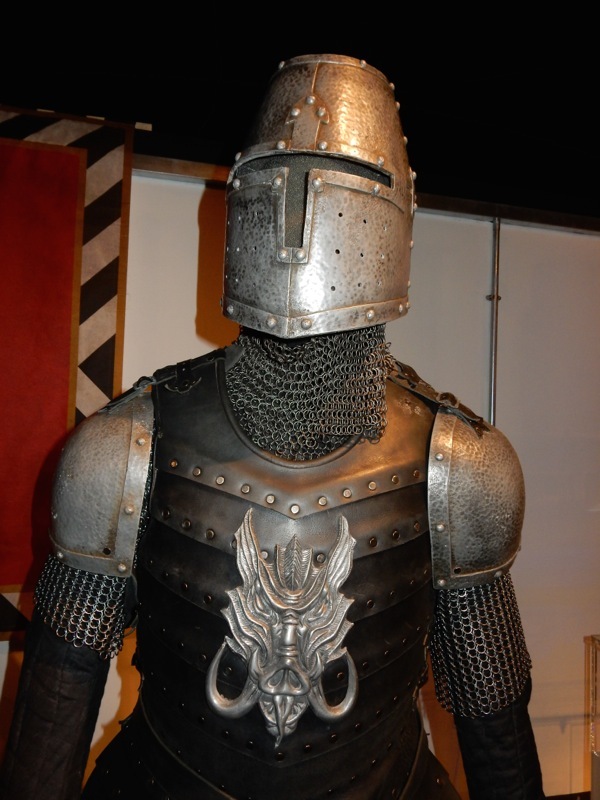 In the episode the knight's Medieval helmet splits open to reveal the android's emotionless face within and its disintegration ray. 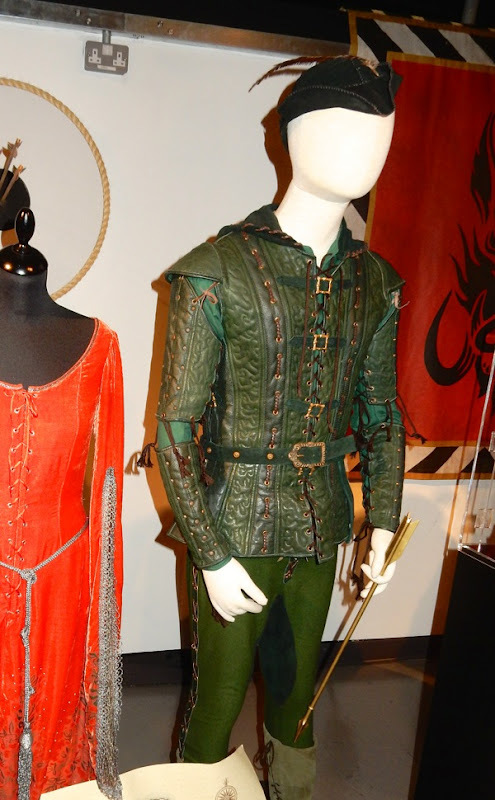 If you're a fan of the infamous Medieval archer and his Merry Men, be sure to also check out these original costumes and props from 2010's Robin Hood movie which starred Russell Crowe and Cate Blanchett. 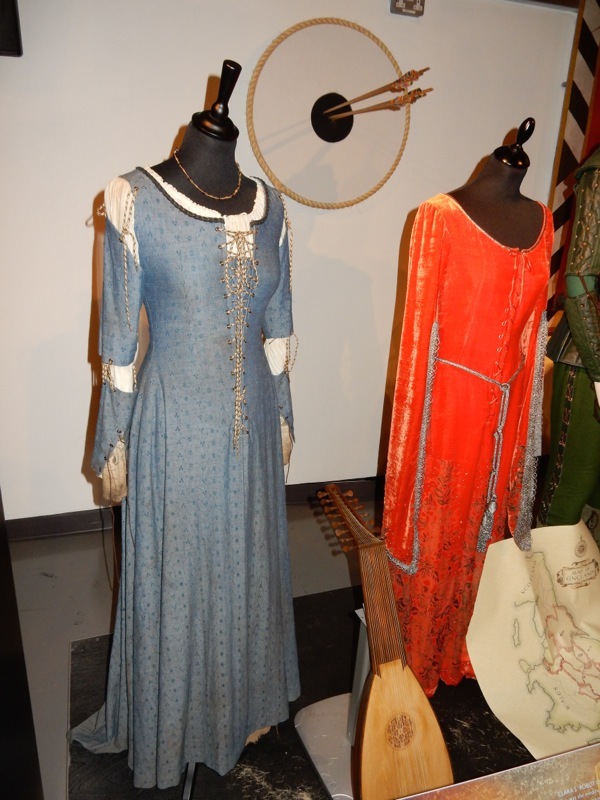 Plus for more Medieval costume inspiration, you should also take a look at Kristen Stewart's coronation gown from Snow White and the Huntsman, plus Maureen O'Hara's Lady Godiva of Coventry movie gown from 1955. 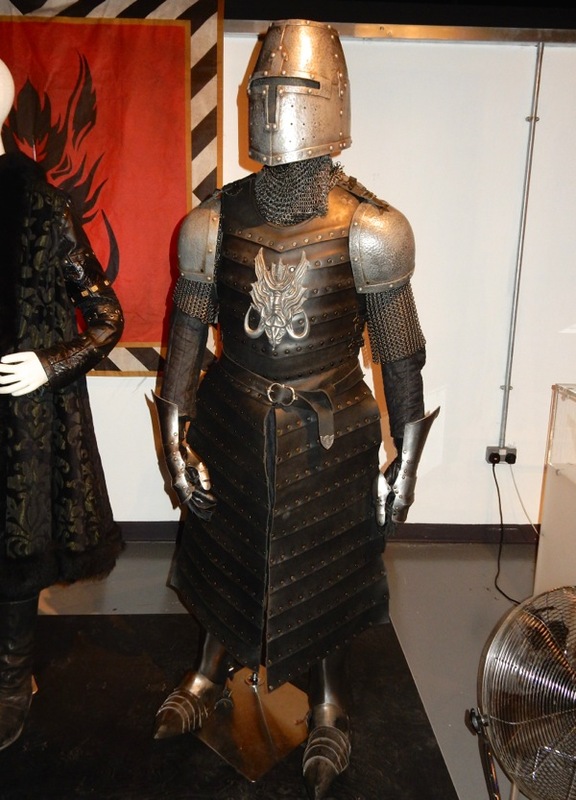 For more cool suits of armour, enjoy King Stefan's costume from Maleficent and Terry English's armours from 1981's Excalibur movie.